Israel’s ex-President Shimon Peres has been taken to hospital after suffering chest pains, 10 days after he had a small heart attack. 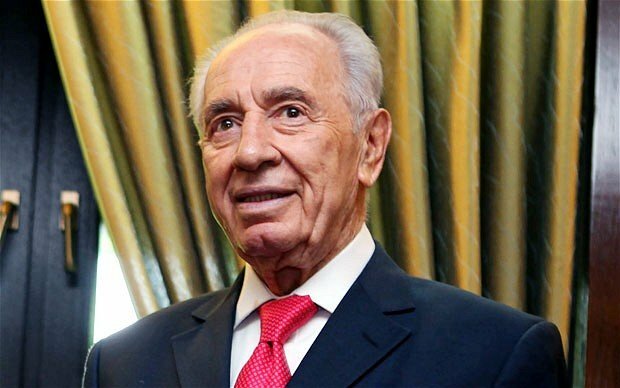 Shimon Peres, 92, underwent minor surgery last week for a constricted artery. A spokeswoman said on January 24 that Shimon Peres was readmitted to a Tel Aviv hospital “for observation and testing”. The former president was not due to undergo any invasive procedures, Haaretz reported. Shimon Peres twice served as Israel’s prime minister and was president from 2007 to 2014. On January 24, he was found by doctors to have an irregular heartbeat, his spokeswoman said. Shimon Peres won the Nobel Peace Prize in 1994 for his role negotiating the Oslo peace accords with the Palestinians a year earlier, a prize he shared with PM Yitzhak Rabin, who was later assassinated, and Palestinian leader Yasser Arafat. He was defeated in the 1996 election by the head of the opposition Likud, Benjamin Netanyahu. Shimon Peres has held almost every major political office since Israel was founded in 1948, and was the architect of Israel’s secret nuclear program in 1959. Despite his age, Shimon Peres has maintained an active public schedule, mostly through his non-governmental Peres Center for Peace, which promotes closer ties between Israel and the Palestinians. Should you pitch your Tent with Stocks, Oil, or Gold Investors?